Thomas Wheatley's profile of Gina Evans is fantastic. Read the entire piece. I get the impression that Gina Evans understands the big picture with what needs to happen at GDOT and with transportation generally speaking in this state, even if I'm not pleased with how she has handle the BeltLine situation. I think GDOT will suffer from her departure. And yes, I can't believe I am writing this. “You’re trying to do a good job, you’re trying to lead change, you’re trying to change the paradigm, you’re trying to move a bureaucracy that’s been in place for 30 years — and you’re constantly counting votes. I asked some of the old DOT staffers, ‘Is this what the commissioner does? Sit around and count votes?’ How are you ever going to effect change if you have to sit and count votes every week?..." Gov. Carl Sanders moved GDOT out of the governors office and gave it a high degree of autonomy in 1963 because of corruption. He still thinks it worked out well, but Evans paints a picture where the local politics of each commissioner make the department ungovernable. Who would run a business this way? Certainly CEOs are accountable to a board of directors, but a well governed company should let the CEO do their job and not micro-manage everything. We've turned what should be a job about running an organization into a job about political maneuvering and baby-sitting. Comissioners aren't concerned with what is good for the state, but whether their friends back home are getting what they need. I'm not saying they are corrupt - I'm saying that the culture at GDOT is one where Commissioners look out for their district and "constituent services" to the detriment of the department. This is because they are politicians and they are elected by politicians, and "constituent services" is what politicians are supposed to do. It is basically what the board is set up to do, so we shouldn't act surprised when they do it. I think it is clear that we have reached a point where this set-up is holding the state back, and where GDOT needs to become a "functional" department rather than a political department. The state elects the Governor and the Lt. Governor, and in today's politics that is about electing a person to set a vision and a strategy for how the state will grow. I don't like what Gov. Perdue wants to do with transportation, but the state elected him to do it and I feel like agencies shouldn't constantly rebel when the elected executive of the state tries to do something. Further, I am really pissed that Georgia Democrats seem to have banded together against Perdue's restructuring. It strikes me as a "screw you" to Perdue, and as a way of retaining some small measure of influence at GDOT via board elections. Never mind what is good for the state, we gots to get ours! Georgia Dems should be spending their time and energy finding out how to reconnect with Georgia voters instead of protecting their own turf. Maybe the metro area will keep getting trading small projects to win over a few legislators and commissioners, but we'll never get the kind of drastic change and reform that we need to make this state more competitive. Way to lead, guys. Also, the state-wide sales tax is a ridiculous idea, and I have zero faith that metro Atlanta wouldn't get absolutely screwed by it for the exact reasons that GDOT is currently unmanageable. Georgia House Dems have shown so little vision beyond petty politics, I can't think of a worse person to run for governor than Dubose Porter. The shorter version of this post could simply be: Hulk angry! Hulk Smash! 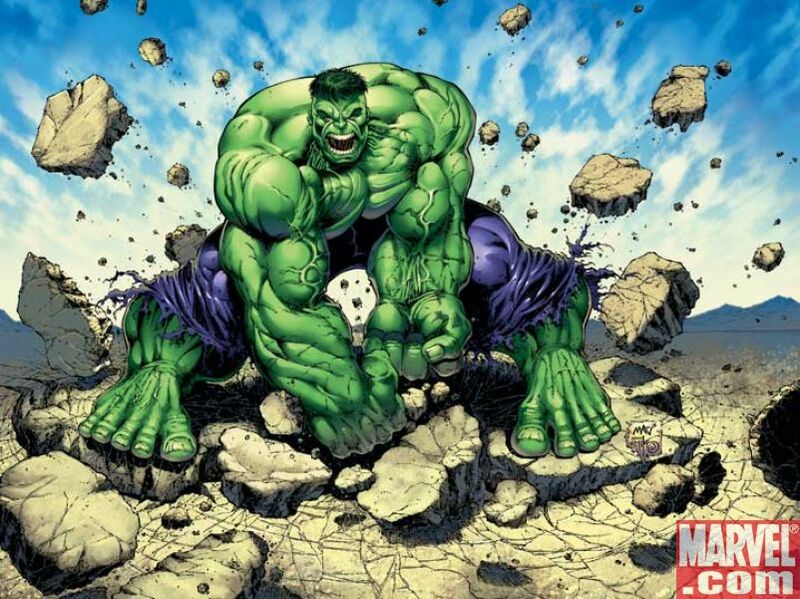 If I were to write a political blog again, I could save a lot of time by just reposting that Hulk image every day.